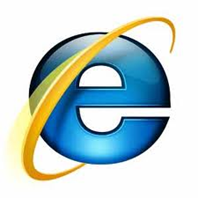 Microsoft Internet Explorer 9 made it’s way to the tech savvy users desktops couple of days ago. Many enthusiastic Windows 7 and Vista users are able to try IE 9 beta version and evaluate new features. Those who installed IE 9 beta might have been surprised to know that IE 9 completely replaces earlier version of Inter Explorer. Yes. IE 9 does not run side by side with IE 8 or IE 7, it completely replaces them. These surprised users may want to uninstall IE 9 and restore the previous version of IE. 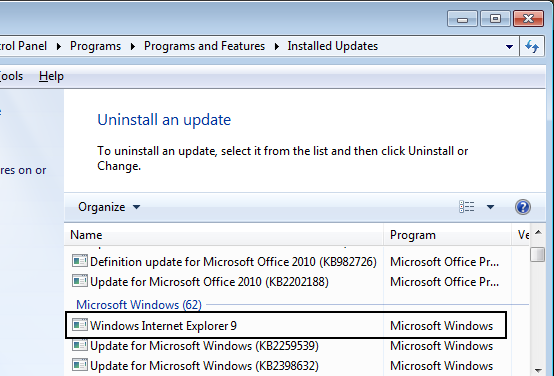 From the list of installed updates, select Windows Internet Explorer 9 and right click for uninstall option. Let the system remove IE 9 and restore the previous of IE installed on your PC. That’s all. Your previous version of IE should be restored now.